Twitter is one of the biggest social networking giants and is known for its vast connection of celebrities with their fans. The reason why Twitter is preferred by almost all the celebrities, or YouTubers, or bloggers, is just because of its simplicity. 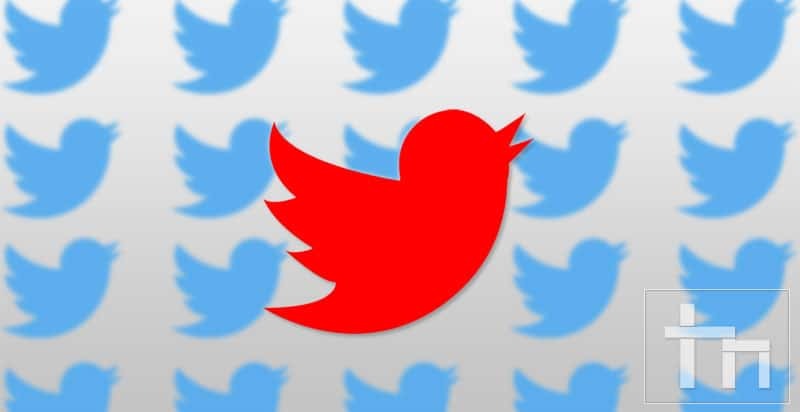 The almost zero lag between you tapping the send button and the tweet being actually sent, and the word limit eradicating any amounts of spamming, and best of all, the seamless reply feature – all help Twitter make the best social networking site. All of this is fun until you start seeing some really annoying retweets from a specific person. A ‘Tweet’ is a direct text from a person you’re following, and that necessarily might not be too bad, but a ‘Retweet’ is a reshare of a random post that the person you’re following pushes out. Sometimes, the retweet feature really works just fine, but the other times, you just wouldn’t want to see every single thing a person is resharing, right? Well, in that case, if you want to just mute all the retweets from a specific person, but still be able to see his/her useful direct tweets, we have got you covered. 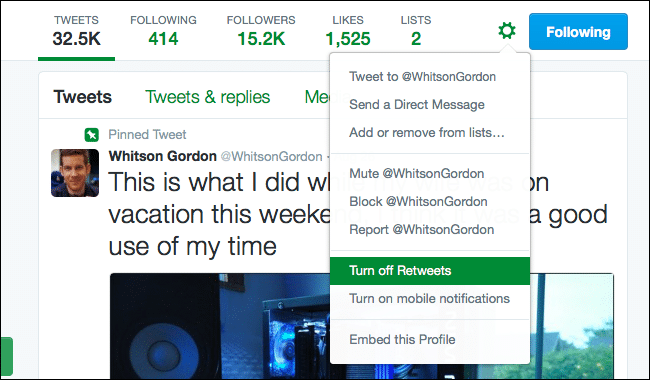 However, if for some weird reason you would want to mute or block tweets as well as the retweets, then follow the guide below. Head over to Twitter’s website. Search for the person that you would like to configure the tweets and retweets for. Make sure you are already following the person, else this all wouldn’t make the least bit of sense. Next up, on the person’s profile, click on the ‘gear‘ icon. From the list, select ‘Turn off Retweets‘. 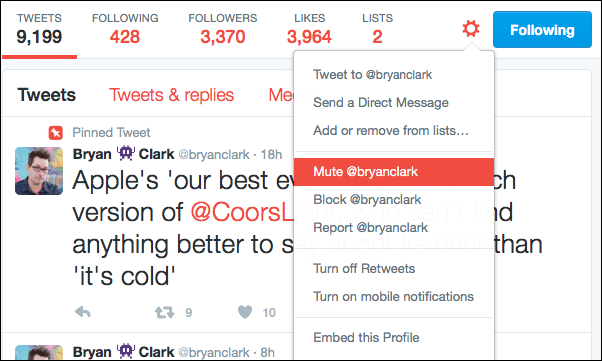 However, if you want to totally mute the person without unfollowing him/her, then select the option named ‘Mute @username’. Good going! You now have unsubscribed yourself from annoying retweets and tweets from a specific person on Twitter! If you have any queries, refer us in the comments section down below.